Financial related stress can be one of the most intense and damaging influences on our overall health and wellbeing. Those sleepless nights wondering how you’re going to make rent, keep from falling behind on car payments, or just pay the monthly utility bills. All of these are current concerns for millions of Americans across the country who are dealing with significant money problems. Living in a constant state of fear and worry is bad for your mental and physical health. These concerns can affect every part of your life to the point where you can hardly get through the day without thinking about how you’re going to meet your monthly financial responsibilities. Debt is a serious issue and those who struggle with paying it off can often find themselves afflicted with any number of stress-related illnesses or conditions. These are only exacerbated by failing to recognize what this proverbial albatross around the neck is doing to your body. Stress is a very real threat to your health. While we all worry about our financial outlook to some degree, allowing your money woes to overpower you and your life is not just detrimental to your wellbeing but it’s not helping your cash-flow issue, either. In fact, high levels of stress will just make things worse by preventing you from performing well at work, doing simple tasks around the house, or allow you to focus on anything else but your financial problems. When financial anxiety takes over, it can be tough to reclaim your life because you’re stuck in a constant cycle of doubt and fear. 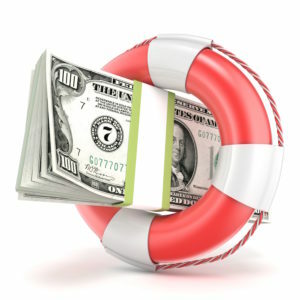 Money-related stress can occur if you’re unemployed or underemployed or it can come as a result of poor money management. Gambling addicts are often gripped with near crippling financial stress due to the amount they owe from gambling debts. When these problems enter your life, the stress can become so great that you can’t concentrate fully on solving them. If you’re up all night worrying about making rent, it can prevent you from actively seeking proper employment or adversely affect your performance at the job you do have. This could result in reprimands or even the threat of being fired, only adding to your financial worries. Perhaps you have a tendency to spend more than you make and your credit card bills are astronomical, your credit rating is badly damaged and your bank account is overdrawn. Or, perhaps you are one of the millions of people who are struggling with student loan bills that are so high you begin to regret going to college in the first place. Medical bills can also prove a seemingly insurmountable challenge to your finances. These factors all have the potential to ruin the quality of your life in ways you may never even imagine possible, beyond the obvious fact that you’re broke. When the walls feel like they’re closing in, desperate people sometimes do desperate things. These poor decisions can also have a devastating effect on the lives of those who think they have very few options for getting out from under their crippling debt. The reality is just the opposite. There are many ways to help you manage the stress that comes from money woes. We compiled some warnings and advice that you may want to take to heart if you’re among the growing number of people who are just trying to make ends meet in today’s rollercoaster economy. While it may all seem bleak right now, take some solace in the old adage that tough times don’t last but tough people do. Your financial situation will get better if you take the necessary steps to getting it there and the first such step is reminding yourself not to panic. Don’t let your money problems define who you are or how you handle adversity. There is always hope and you will find that light at the end of the tunnel. 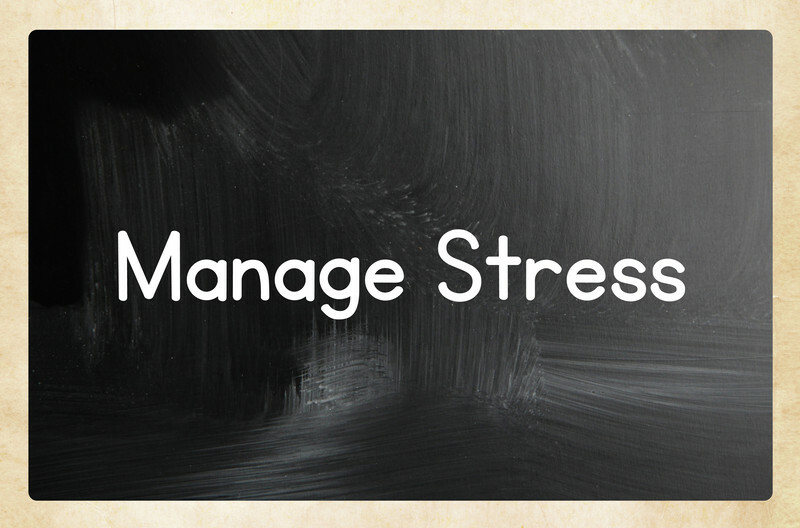 Any kind of stress can be tough to manage. However, financial related anxiety issues can be particularly impactful on your health in a variety of ways, all of which can interfere with your personal life and your job. Living in a state of unyielding worry over your finances can lead to anxiety and depression, both of which can damage your ability to live a normal life, go to work, and enjoy quality time with friends and family. Money problems are also one of the leading causes of divorce among married and cohabitating couples. When these stresses get in the way they can be very challenging to overcome. Stress can change the way you look at the world, greatly affect your self-esteem, and cause you to lash out at others. When you’re dealing with enormous financial stress, it may feel as if you have nowhere to turn and no one to help you. The closer you get to payment due dates, service interruptions, and loan defaults, the more worried and scared you can get. This then leads to the possibility of making irrational or short-sighted decision making. When you can’t make your rent payments, you could potentially be kicked out of your home or apartment. If you miss a car payment, then your lender could repossess your car. Credit card, student loan, and medical bill debt poses an endless threat to your financial comfort and defaults could make the situation dramatically worse. These stressors can then trigger physical responses that the body adopts. These physical manifestations of your stress can prove unhealthy when they are experienced repeatedly for extended periods of time. As those responses continue, the body can begin to suffer symptoms of serious health issues ranging from gastrointestinal problems to dramatic shifts in weight gain or loss. Insomnia is a common by-product of money-related stress as is psoriasis and high blood pressure. Many sufferers look for ways to cope with their mounting health and financial problems and turn to alcohol or narcotics as a way to escape, leading to dependencies on both. Eating disorders can also develop in people who select food as their vice to help them cope with their financial anxiety. Other serious conditions include heart disease, diabetes, and even heart attack in people young and old who are suddenly faced with a financial crisis that poses a serious threat to their current lifestyle. It’s all too easy to just tell you to relax and not to stress out. But we all know that’s not a real solution because if it were that simple, I wouldn’t be writing this article. Let’s discuss how you can handle your money-related stress in realistic ways so that you can deal with the problem effectively. Finding yourself financially strapped can come at any time, either gradually or out of the blue. You may come to realize that you’ve reached the limit on your credit card and you’re looking at a four or even five figure debt that they are expecting you to pay down. You could be fired or laid off unexpectedly. A major medical issue could have you paying off outrageously expensive hospital bills when you least expect. No matter what got you into this situation, it is not a time to suddenly freak out. This is a time where you need to show your steely resolve and find a solution to your problem. Paying down debt could mean consolidation or borrowing from friends, family, or lending institutions. Losing your job is no picnic either, but that doesn’t mean you won’t find another one. You just need to dedicate yourself to that task at hand instead of wallowing in worry or self-pity. The best way to stave off those nagging feelings of stress in the pit of your stomach is to keep them from rising up in the first place. That means putting together a plan for getting yourself out of whatever challenging financial situation you find yourself in. Without some kind of strategy for rectifying the issue, you’re prone to feeling overwhelmed and unprepared which can lead to anxiety and depression that you, frankly, don’t have time to deal with right now. While you’re devising that course of action, you’ll also want to take a holistic approach to your overall health and work towards reducing the stress levels that may rise as you proceed with implementing your plan. Some people like to turn to exercise and even yoga to keep themselves centered and focused. You can also practice simple relaxation techniques like deep breathing exercises or some easy meditation to remain attentive to the matter at hand. There are other ways to cope with or eliminate stress altogether, such as taking your mind off of your worries through listening to music or getting a massage. Sometimes all it takes is talking to a trusted friend or loved one about your problem, so you can get your anxieties off your chest and deal with it in a more straightforward and measured manner. This is much better than the alternative of keeping your feelings all bottled up and working through it by yourself. We all need a shoulder to cry on once in a while and there’s no shame in discussing your financial troubles with someone who you know cares about you. Stress in any form is bad for you and stress borne from financial trouble requires additional action beyond keeping yourself centered, focused, and healthy. You want to devote that same time and effort to securing your financial future. That game plan you were creating to help you get out of debt and back on your feet will require some smart stress relief for your wallet as well. It’s about maintaining control over your emotions and your money, eliminating the negative, and focusing on the positive so that you can be better prepared to dig yourself out of this financial ditch. While it may not seem that way at first blush, there are plenty of positives in your life to dwell upon instead of all the negative swirling around you. Take stock of what’s good in your financial picture, the strengths in your money management skills, and the positive assets that you can count among your belongings. Even though it may not be a lot, chances are you have something that you can point to as a confidence builder to alleviate the stress that can come from financial complication. Budgeting is a powerful tool for easing your financial stress and anxiety. However, not everyone really knows how to do it or why it’s so important. Luckily, it doesn’t take a lot of work to properly budget, but it does require some dedication and committed follow-up. Start by auditing your monthly expenses and compare it to how much income you have coming in. Next consider your spending habits and decide if you need to be bringing in more money each month or if there are certain areas in your spending where you can cut back. When you know if this is at the heart of your problem, you can take steps to solving it by finding new ways to generate additional revenue or conserve what you have by cutting certain items out of your budget. Prioritizing your spending is always one of the toughest parts of the process because it can sometimes force you to make tough choices between essential items you may need to purchase each month. On the other hand, if you’re spending frivolously on non-essential items, then the choice is made much easier. The key here is to find that balance between living comfortably and being happy. It can be done; you just need to be practical about what each of those things means to you. Living comfortably is typically defined by having all of the things you need to live life, well, comfortably. Those standards are different for most of us, but there is a common assumption as to what it means to live in comfort. A roof of your head, food to eat, heat to warm your home when it’s cold outside, and modern amenities. Unfortunately, living comfortably is often confused with living happily, which usually includes additional items and luxuries that aren’t exactly necessary but would be nice to have, own, and enjoy. Everyone believes that curbing your spending automatically means you’ll have to embrace comfort while forgetting about happy. The reality is you can live comfortably and still be happy. It’s a matter of perspective, but one that you don’t have to adopt for the rest of your life. Life has a funny way of bringing changes and if you begin to make more money and pay down some nagging debts, you can start to shift your budget to let you do more of the things you love and make you happy, not just comfortable. Debt may be a large component of your budget, particularly if you have to arrange a debt repayment plan to help you alleviate the amount of money you owe. When debt is a major problem, the stress can be constant as you work hard to pay off that large sum. Chances are you’ll be making installments that will need to be factored into your monthly budget. Depending on how much you’ll be responsible for each month, it could mean more sacrifices and tough choices as to what will need to be eliminated from your regular spending patterns. However, knowing that you’re on your way to paying down your debt will feel like a breath of fresh air give you renewed hope about your financial picture and, most importantly, reduce your stress levels considerably. As you may have gathered by now, preparation and a little bit of forward thinking can help reduce your financial stress and boost the health of your bank account. You can take that preparation just a little bit further by seeking out ways in which to educate yourself about your finances so that you won’t just avoid falling into the red on your bank statements but you’ll be able to start putting money away for the future as well. That education can come in many forms like signing up for courses in accounting or money management or learning more about how to invest your cash through any of the most popular retirement savings options that are available. If you’re seeking out more exclusive education and information, then contact a financial adviser or financial planner to help you save money for retirement. Most financial professionals have different purposes and limitations when it comes to helping your manage your money. Do a little homework ahead of time to figure out which type of financial guidance is right for you. Advisers and planners are tasked with achieving dissimilar goals when they’re working with clientele. An adviser is there to help you manage your money while a financial planner brings his or her expertise in investments, tax shelters, retirement planning, and so on. Whichever one will serve you better is really your call, but do be sure to get some form of educational assistance when you are ready to learn more about your money. Most of the time, an initial consultation or meeting is usually done free of charge and there’s no obligation once you walk into their office. You may also want to prepare a series of questions you have about your money and the role you and the adviser play when it comes to working with your finances. One of the best ways to eliminate that money-related stress is to gain the knowledge of how to manage your resources, grow your wealth and keep more money in your pocket. We stress about money because we either don’t have it or what we have is dwindling away much quicker than it’s coming in. What if some major crisis were to arise? Would you blow through your resources quickly or do you have a savings account for just an occasion? Establishing an emergency fund is another smart way to avoid stressing about money. You don’t need to have thousands of dollars stuffed under your mattress, either. If saving for that so-called rainy day is tough, set practical goals that can align easily with your monthly budget. Aim to save $500 first, then increase it to $750, and work your way up from there until you have about three to six months of monthly expenditures squirreled away to access whenever some major emergency comes up. 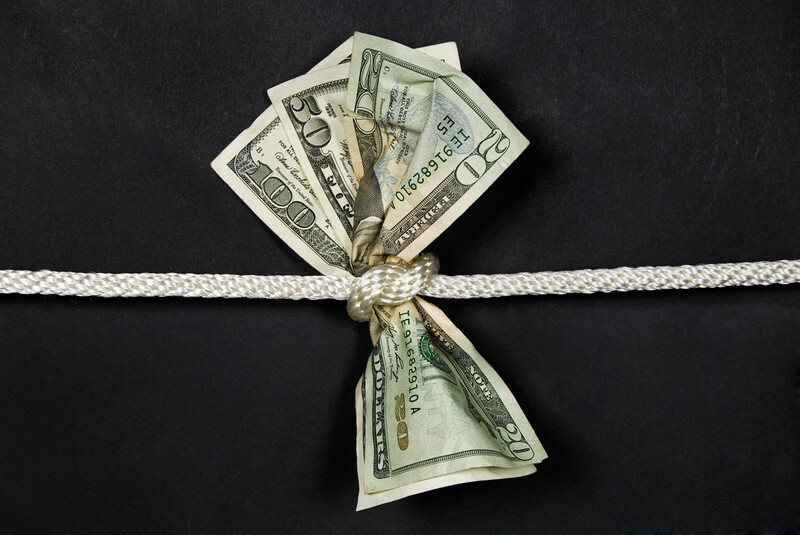 Remember, this money is only for urgent matters as a cushion to rely upon so you’re not cash strapped down the line. It’s not for stealing from whenever you see something you want to buy. Maintaining this emergency fund is going to require discipline with respect to saving and not withdrawing from it unless you absolutely must. Money. Most of us never have enough and that can bring up all kinds of fear and worry. Sometimes it’s simply because your account is lacking the funds you need to pay for the items you need. The stresses don’t end there, either, as many folks just can’t keep from making comparisons between their financial situation and that of their friends and neighbors. In this social media obsessed culture, we tend to want to “keep up with Joneses” more than ever. That kind of thinking can be just as unhealthy and stress-inducing than wondering where your next paycheck is going to come from. The truth is that you don’t know what the real situation is like with the envy of your social circle. Pictures and videos on Facebook or Instagram don’t tell the whole story and you may never discover whether or not their financial picture is better or worse than your own. We all like to put our best foot forward and that’s the entire impetus behind social media. Most people don’t parade their lack of success or wealth for others to see so you couldn’t possibly be able to determine if that person is better off than you. The bottom line is you should focus solely on your own monetary picture and work to improve that, not worry about other people and their checking accounts. It’s only going to cause you more stress that you don’t need.